Ohio regulators on Friday awarded seven provisional medical marijuana processing licenses, and six more potential licensees are pending tax and background checks. The state, which received 104 processing applications, is allowed to award up to 40 provisional licenses. The processing licenses move the state “over one of the final hurdles to getting the program fully operational,” Thomas Rosenberger, executive director of the National Cannabis Industry Association of Ohio, noted in a statement. State regulators recently gave the first go-ahead to a cultivator to begin planting marijuana, after approving 25 provisional cultivation licenses. Still, Ohio appears to remain months behind schedule to meet the requirement to have a fully operational MMJ market by Sept. 8. While an applicant can receive only one provisional license, they were permitted to apply for different locations: Greenleaf, for example, has 10 days to choose its location. To be certified to begin operations, each provisional license winner must comply with all laws and regulations, including local zoning requirements. Ohio’s medical marijuana law permits oils, tinctures, plant material, edibles and patches. The law prohibits the use of medical marijuana by smoking or combustion, although it does allow vaping. 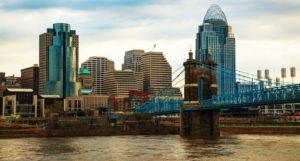 The Marijuana Business Factbook 2018 recently projected that Ohio will generate upwards of $300 million a year several years after its launch. Happy that the Ohio’s medical marijuana law permits vaping (besides oils, tinctures, plant material,…)!! 🙂 That’s great! I am so happy for Ohio, I have relatives that live there. And they need Cannabis.